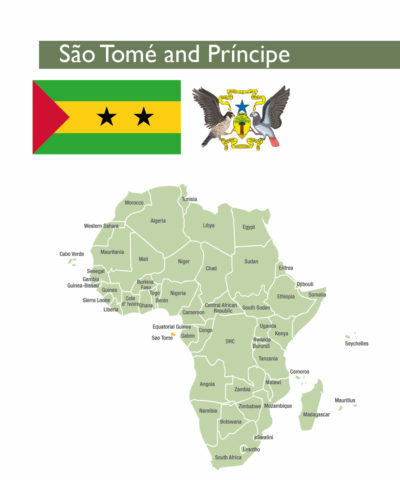 To download a pdf version of the full 2018 São Tomé and Príncipe country profile, click here. São Tomé and Príncipe (STP) has a small financial system. The country is ranked 169th in the Word Bank Doing Business report 2018 for access to credit, due to high interest rates and a general lack of regulatory polices to ensure credit distribution. Unemployment is very high amongst the population living under the poverty line, with intensified urban poverty due to limited employment opportunities, particularly for youth, as well as a reliance on employment opportunities concentrated around one urban centre. Low purchasing power among household clearly affects the development of the local housing industry. A small percentage of houses were masonry-based. The dominant use of these materials is indicative of how informal housing construction has been undertaken as well as how impoverished the population is. The expansion of informal housing is further indicated by the fact that while the use of masonry has dropped by since 1991, the use of wood has increased over the same period. Series of resolution have been taken in order to improve access to finance and affordable housing. The Second Poverty Reduction Strategy Paper (PRSP-II), produced by the International Development Association (IDA) and the IMF, approved by the STP Cabinet in 2012, outlines four objectives namely: “(i) promoting good governance and public-sector reform, (ii) supporting sustainable and inclusive economic growth, (iii) enhancing human capital and extending basic social services, and (iv) reinforcing social cohesion and social protections, particularly for vulnerable groups”. The country and its economy are highly vulnerable and subject to exogenous market shocks as well as environmental vulnerabilities. The GDP growth rate was an estimated 5.2 percent in 2017 but is projected to increase to 5.5 percent in 2018. This growth is off the back of increased external investments in infrastructure and construction. The overall fiscal deficit increased from 1.7 percent of GDP in 2016 to 2.1 percent in 2017, with a further projected increase to 2.9 percent in 2018. The increasing-deficit trend is expected to remain for as long expenditures continue to outperform the domestic resource collection. Tourism and public infrastructure project investments have increased economic activity with a recorded GDP of STP8.15 trillion (US$0.391 billion) in 2017, an increase from STP7.29 trillion (US$0.35 billion) in 2016. According to the International Monetary Fund (IMF), despite investment in these sectors, a projected 6 percent growth is required to reduce the poverty rate. The Sao Tomean government continues to drive the extension of the oil industry, which continues to be identified as a critical sector for growth. The expectation is that revenues generated from the industry could potentially reduce poverty and enable sustainable economic transformation and growth over the next decade. There are major risks associated with this approach to economic growth due to the weak strategic, legal and regulatory frameworks in Sao Tome. The capacity of public administration, with regard to the transparent management and effective and efficient utilisation of public financial resources has been cited as a concern for growth within the region. These challenges and opportunities have solicited the involvement of development finance institutions such as the AfDB, the IMF and the World Bank to provide supportive technical assistance as well as funding to ensure the creation of capacity-building strategies that develop economic and financial governance, strengthen strategic planning and programming, and create a more conducive environment for private sector activity. This is to be achieved firstly through the development of policies and capacity aimed at addressing budget strength and improving credibility, transparency and efficiencies in execution and control. Secondly, the weak reporting and deficient accounting systems must be reviewed and amended. The third priority is to work with the legislature to minimise the administrative red tape associated with starting a business and to further increase the capacity and influence of the judicial system in defining commercial aspects and regulations. The intention with this strategy is to engage and partner with national and international entities and ministries to reinforce and grow limited economic infrastructure as well as identify and address existing weaknesses within the institutional capacity. The country has undergone an extensive process of increasing tax revenues which was externally monitored and evaluated. Other funding and economic support strategies include large-scale cooperative agreements signed with other countries including China, with a STP3.04 trillion (US$ 146 million) investment agreement over five years with a sectoral focus on infrastructure (mostly around the ports), health and agriculture. The financial sector as a whole is constrained as a result of capital shortages at a corporate level, a lack of bankable projects, and increasingly restricted foreign currency reserves. Furthermore the government’s economic policies are not supportive of an emergent private sector. On the whole, despite the increased large-scale investment, the business environment is not ideal due to: high overheads relating to energy, maintenance, and human capital; high interest rates; a lack of access to long-term financing; further vulnerabilities and instabilities in the banking sector; and a weak judicial system. Growth in the agricultural and tourism sectors are coupled with high imports, captured at STP668 billion US$32.05 million, compared to exports in the first quarter of 2018 which were lower than usual STP19.4 trillion (US$ 0.930 million). Cocoa exports remain the dominant commodity, constituting 81 percent of exports. The diverse range of the country’s imports exemplify the vulnerability of the country with a large component of the imports being basic food sources such as rice and poultry as well as basic construction materials such as cement. There is resulting pressure for government expenditure to act as a primary economic driver. Due to high import rates, domestic price fluctuations are tied to those of international prices, oil prices being the most notable exemption as fuel prices are fixed. In 2010, the STP Dobra was pegged to the Euro to stabilise the currency. Domestic inflation levels have converged to Euro-area level at an estimated 5.39 percent for 2018. Current government agendas include a reform outlined in the 2016-2018 National Strategy Document, giving priority to: the promotion of good governance, public sector transformation, sustainable and inclusive growth; and strengthening human capital, social service delivery, social cohesion, and social protection. The government has entered into a three-year macroeconomic framework with the IMF under the Extended Credit Facility (ECF) for 2015-2018, which is in line with their programme to reduce the country’s high risk of distress. Government has also indicated that they will prioritise highly concessional financing (loans with more generous terms than those on the open market), in accordance with the IMF’s new debt policy. Under this agreement the government has made a borrowing commitment of STP946 billion (US$45.4 million) until the end of 2018. Furthermore the stipulation is that all new borrowing should go toward projects in infrastructure and social spending with a high impact on development, including job creation and poverty reduction. Worldometers. Sao Tome & Principe Population (LIVE). http://www.worldometers.info/world-population/sao-tome-and-principe-population/ (Accessed 23 July 2018). Soares Da Gama, F. (2018). Pg.2. Trading Economics (2018). Sao Tome and Principe – Economic Indicators. https://tradingeconomics.com/sao-tome-and-principe/indicators (Accessed 25 July 2018). Coface (2018). Sao Tome and Principe: Major Macro Economic Indicators. www.coface.com/Economic-Studies-and-Country-Risks/Sao-Tome-and-Principe (Accessed 23 July 2018). Reuters. “BP, Kosmos win rights to two oil blocks in Sao Tome and Principe.” 23 Jan 2018. https://www.reuters.com/article/us-saotome-oil/bp-kosmos-win-rights-to-two-oil-blocks-in-sao-tome-and-principe-idUSKBN1FC133 (Accessed 23 July 2018). African Development Bank Group (2012). Country Strategy Paper 2012-2016. https://www.afdb.org/fileadmin/uploads/afdb/Documents/Project-and-Operations/STP%20-%20CSP%202012%20-%202016.pdf (Accessed 24 September 2017). African Development Bank Group (2012). Country Strategy Paper 2012-2016. African Development Bank Group (2012). Pg. 21. Central Intelligence Agency (CIA). The World Factbook: Africa: Sao Tome and Principe. https://www.cia.gov/library/publications/resources/the-world-factbook/geos/tp.html. (Accessed 25 July 2018). Soares Da Gama, F. (2018). World Bank (2018). The World Bank in Sao Tome and Principe. https://www.worldbank.org/en/country/saotome/overview (Accessed 26 July 2018). Statista(2018). São Tomé and Príncipe: Inflation rate from 2012 to 2022. https://www.statista.com/statistics/729387/inflation-rate-in-s%25C3%25A3o-tome-and-principe/ (Accessed 8 September 2018). STP has a small financial system. The Central Bank of STP (BCSTP) serves in a supervisory role over the national financial system and defines monetary and exchange rate policies in the country. Commercial banks constitute 98 percent of financial sector assets; the majority of the eight banks, namely Afriland First Bank, Banco Equador, BISTP – Banco Internacional de São Tomé e Príncipe, Commercial Bank of São Tomé and Príncipe, Ecobank, Island Bank, National Investment Bank and Energy Bank, are foreign owned. Furthermore, the sector is highly concentrated with the largest three banks in possession of almost 75 percent of total assets. The private sector has access to local credit, but this is limited and expensive despite it being available to both foreign and local investors on equal terms. The country’s main economic actors finance themselves outside STP. The country is ranked 169th in the Word Bank Doing Business report 2018 for access to credit, due to high interest rates and a general lack of regulatory polices to ensure credit distribution. Furthermore according to the report, in STP there is no credit bureau or credit registry, the lack of which means that there is no regulatory framework in which credit could be facilitated and monitored increasing the risk of providing credit. The lack of versatility and portfolio variance is evident at the individual bank level. Some banks do not have credit exposure to all sectors and the size of the credit portfolios vary greatly. In 2015, credit to the construction sector was provided mainly by one bank, and to a large degree the same was true for lending to tourism and manufacturing. This credit concentration increases banks’ vulnerability to sector-specific shocks as well as limiting the accessibility of finance across the board. However, loans for construction, trade and consumption account for the largest proportions of credit by the economic sector. There is currently no state strategy to develop microfinance institutions and no formal regulatory framework to support the growth and development of the sector, which is almost nonexistent with only a single operator. The high concentration of the banking system has led to limited competition. The system is composed of negative profitability, a high component of non-performing loans, and low capital adequacy. The banks are faced with capital deficiencies and a lack of feasible projects exacerbated by a dwindling availability of reserves of foreign currency. Banks thereby need to strengthen their risk-assessment criteria for lending, as the limited access to finance serves as an impediment to economic development and poverty alleviation. In recognition of the poor performance of the financial sector as a whole, the Financial Sector Development Implementation Plan (FSDIP): 2017-2019 was initiated with a focus on policy reforms and actions in three key areas: (i) strengthening financial sector supervision, (ii) increasing financial inclusion, and (iii) upgrading financial infrastructure. 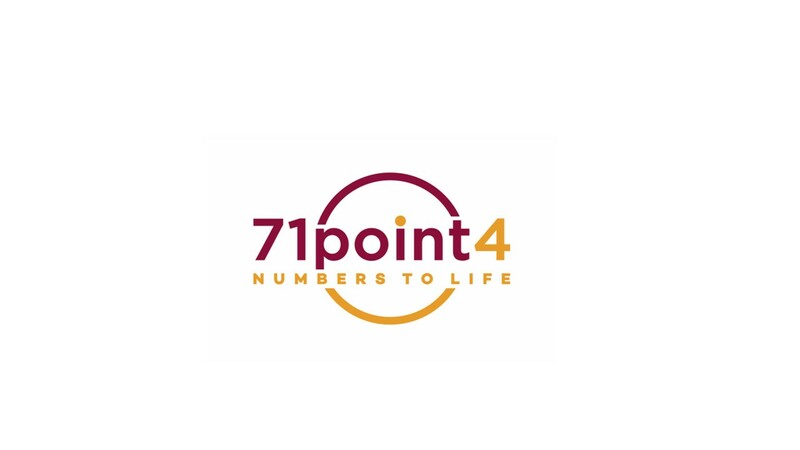 Only 48 percent of people have a saving account, only 7 percent of small and medium-sized enterprises (SMEs) have a bank loan and less than 5 percent are clients of consumer finance firms. 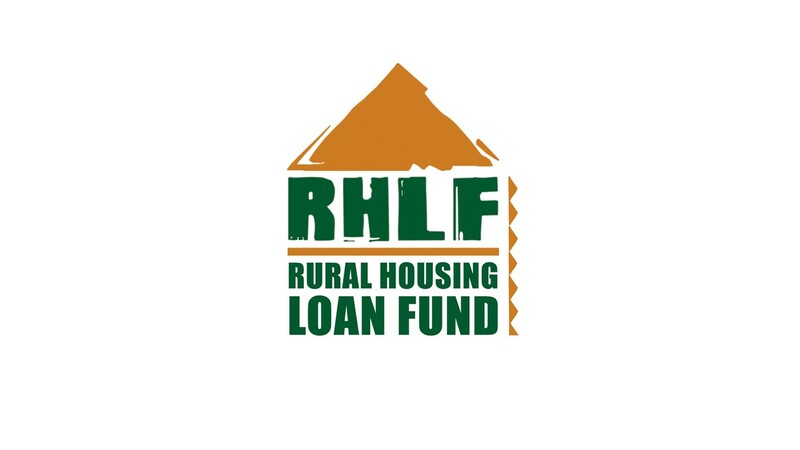 Currently there is record of a targeted intervention for housing finance, however the constraints of the sector as a whole suggest a limited or rather constrained capacity. BISTP-GPC – Banco Internacional de São Tomé e Príncipe – Gabinete de Planeamento e Controlo (2016). “BISTP no Mercado de S. Tomé e Príncipe”. Oportunidades de Negócio em São Tomé e Príncipe, Conferences Portugal Global, Lisboa: AICEP Portugal Global, 30 September 2016. IMF (2016). Democratic Republic Of São Tomé and Príncipe. IMF Country Report No. 16/175. https://www.imf.org/external/pubs/ft/scr/2016/cr16175.pdf (Accessed 24 September 2018). World Bank Doing Business (2018). World Bank (2016). Democratic Republic of São Tome and Príncipe : Financial Sector Development Implementation Plan, 2017-2019. https://openknowledge.worldbank.org/handle/10986/25684 License: CC BY 3.0 IGO (Accessed 08 September 2018). Unemployment is at 13.5 percent with an estimated 62 percent of the population living under the poverty line. Urban poverty is intensified due to limited employment opportunities, particularly for youth, as well as a reliance on employment opportunities concentrated around one urban centre. There is a very limited amount of information available on the cost of living, income levels and housing in general in STP. A cost of living survey was conducted in 2011 by the International Civil Service Commission’s secretariat in STP, but the sample size of respondents was very limited. However, the survey provides at least some idea of the situation. According to the study, monthly rental of a three-bedroom house at the time cost STP45 million (US$2 160) and a five bedroom house cost STP68 million (US$3 262). In breaking down the disbursement of these rates, apart from the actual rent, the highest cost was for utilities, with a monthly cost of STP4.9 million (US$234) and STP10.3 million (US$494) respectively. This data in consistent with business cost analyses which indicate that high costs of electricity act as a major barrier to business growth and investment in the country. The Public Institute of Housing and Real Estate (Instituto de Habitação e Imobiliária, IHI), has indicated the cost of a newly constructed house to be STP625 million (US$30 000). They provide no indication of the size, yet it is stated that the actual cost of construction is higher. In looking at property listings available through the International Bank of STP (Banco Internacional de S.Tome e Principe), the average cost of a three-bedroom house is around STP1.5 billion (US$72 000) . Housing affordability is thereby constrained by the cost of housing and a limited and unclear system of housing credit. 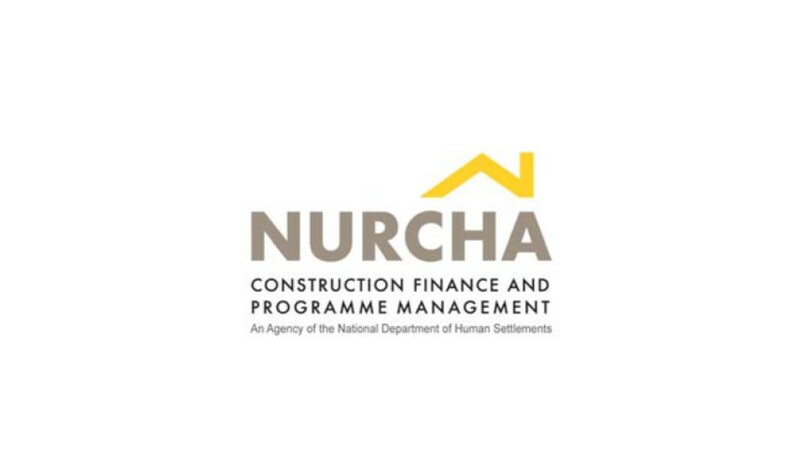 Furthermore, for the two-thirds of the population mostly employed in the informal economy, only the informal housing market, community savings and micro-credit schemes (for which there is no accurate detailed data) are affordable. Knoema (2018). Sao Tome and Principe. https://knoema.com/atlas/Sao-Tome-and-Principe (Accessed 24 July 2018). ICSC (2012) Cost of Living Survey Report. https://icsc.un.org/resources/cold/csr/current/pp/Sao%20Tome%20and%20Principe-11.pdf (Accessed 24 July 2018). STP has only one main urban centre, the city of Sao Tome, which has 65.6 percent of the urban population and a population density of 208.2 per km² ,86.6 percent of which live in slum areas (2014/2015). According to a report produced by the National Institute of Statistics (INE), in 2012 the majority (68 percent) of homes were occupied by their owners, with only 14.6 percent renting, 16.3 percent living in free accommodation, and 1.2 percent in other arrangements. According to this report, as of 2012 there were 29 182 urban dwellings and 14 846 rural dwellings. The majority (43 percent) of which are one-­bedroom units, 37.8 percent ­two-bedroom, 14 percent three-bedroom, 3.9 percent four-bedroom and 1.3 percent five-bedrooms or more. On average, a family consists of 5.2 persons, the majority of which live in a one to two-bedroom unit. The level of development of these units is incredibly basic: 76.4 percent of the units have no water on site and 57 percent have no form of sanitation facilities. However, this is an improvement from 1991 where 80.1 percent of units had no sanitation facilities. Houses are primarily made from wood with 64.8 percent using wood for construction and 15.3 percent using reclaimed or salvaged wood. Only 19.2 percent of houses were masonry-based. The dominant use of these materials is indicative of how informal housing construction has been undertaken as well as how impoverished the population is. The expansion of informal housing is further indicated by the fact that while the use of masonry has dropped by 4.4 percent since 1991, the use of wood has increased by 12.1 percent over the same period. This trend is expressed further in the prevalence of Zinc as the primary roofing material. Houses are incredibly rudimentary and informal. Habitat World Map. Sao Tome and Principe. http://habitat-worldmap.org/en/pais/africa/sao-tome-and-principe/ (Accessed 25 July 2018). UN-Habitat (2016). 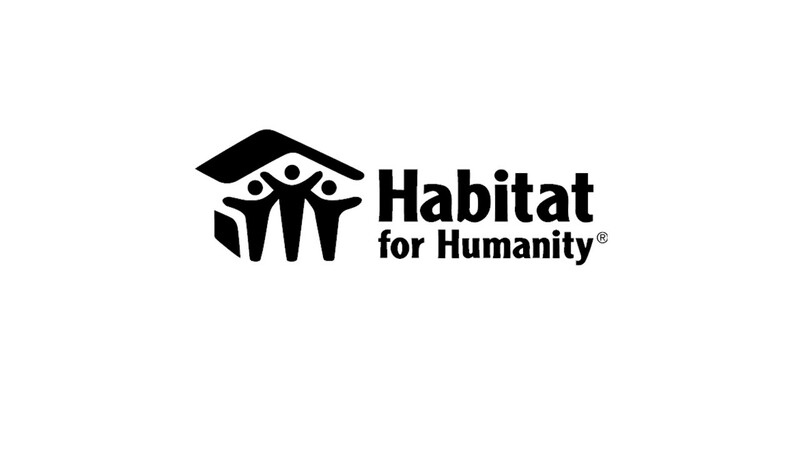 UN-Habitat World Cities Report. http://habitat3.org/the-new-urban-agenda/preparatory-process/national-participation/sao-tome-and-principe/ (Accessed 24 September 2017). Instituto Nacional de Estatistica Republica, Democratica de S.Tome e Prinicpe (INE)(2012). Características e Condições de vida das famílias e da habitação. http://www.ine.st/Documentacao/Recenseamentos/2012/TemasRGPH2012/10%20CARACTERISTICAS%20E%20CONDICOES%20DE%20VIDA%20DAS%20FAMILIAS%20E%20DA%20HABITACAO%20Recenseamento%202012.pdf (Accessed 24 September 2017). Approximately 86 percent of the land is state-owned, as a portion of land was nationalised when the country gained independence. Given that the state owns the land, concession arrangements are made for farmers that have usufruct rights over the land. Furthermore land can be transferred to private ownership in circumstances in which projects are deemed to be in the national public interest and with adequate compensation. STP is ranked 171 out of 190 according to the World Bank Doing Business Report 2018 in ease of registering property. The capacity of the Property Registry limits the efficiency of this process which would serve as a potential obstacle to investment. To register a property, it takes eight procedures, 52 days and costs 10.2 percent of the property value. Registration is done with the Finance Ministry, as well as at the Agricultural Ministry for rural land, or at the Geographic and Registration Services for urban land. Records are all on paper and property registry and cadastral agencies are not only separate, but they use different identification markers for the same properties. As such, and in conjunction with different land tenure types and forms of use, along with the difficulties in registration, there is duplication of registries with overlapping ownership and confusion amongst types of entitlement, both within the formal and the informal real estate markets. In dealing with construction permits, STP is ranked 103 of 190, with 16 procedures over 67 days (which is comparatively less than regional counterparts’ average of approximately 147.5 days). STP is ranked 5 out of 15 in the building quality control index. These constraints to doing business have been exacerbated by high interest rates and limited access by investors to credit, coupled with poor physical infrastructure. Finance, real estate and business services comprised 4.5 percent of the GDP in 2015, demonstrating a recognition for further investment in this sector. However the dominant focus remains agriculture, forestry, fishing and hunting which constitute 40.4 percent of GDP. This indicates the national focus on improving macroeconomic diversification and strengthening local primary production. STP was rated with a credit rating of 15, for which its market is deemed ‘extremely speculative’, which is a low grading that doesn’t engender investor confidence. U.S Department of State (2017). Bureau of Economic and Business Affairs Investment Climate Statements for 2017 – Sao Tome and Principe. https://www.state.gov/e/eb/rls/othr/ics/2017investmentclimatestatements/index.htm?dlid=269771&year=2017#wrapper (Accessed 8 September 2018). The Second Poverty Reduction Strategy Paper (PRSP-II), produced by the International Development Association (IDA) and the IMF, approved by the STP Cabinet in 2012, outlines four objectives namely: “(i) promoting good governance and public-sector reform, (ii) supporting sustainable and inclusive economic growth, (iii) enhancing human capital and extending basic social services, and (iv) reinforcing social cohesion and social protections, particularly for vulnerable groups”. In 2014, the land reform office of the Ministry of Agriculture, Fisheries and Rural Development announced plans to redistribute 1 500 abandoned land parcels for agricultural production in a bid to combat poverty in Sao Tome. 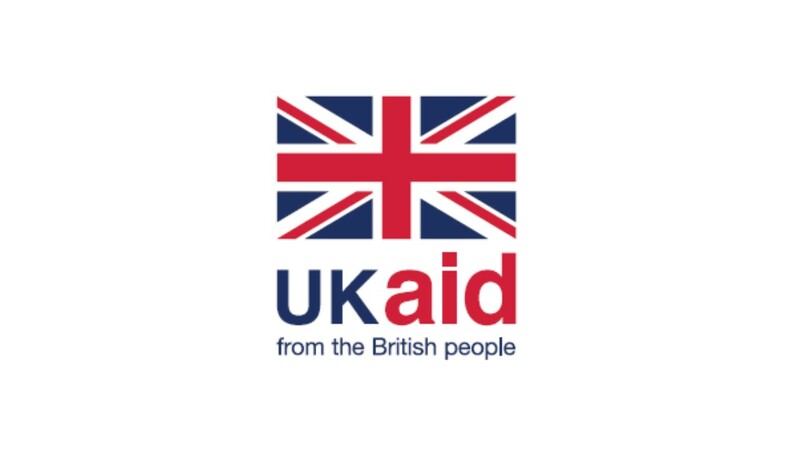 This programme falls in line with the National Transformation Agenda as part of the STP Vision 2030 which specifies nine objectives: reduce poverty in rural and coastal areas; promote youth employment through education and training; strengthen the health system; reinforce the public and administrative management tool; promote transparency and accountability in relation to the provision of Public Administration; strengthen internal security, public security and coastal security; simplify legislation and improve the business environment; implement infrastructure programs to support growth; and ensure environmental protection and control of operators. In January 2016 the National Land Use Plan (PNAT) Study Project was approved, funded by the Republic of Sao Tome and Principe through a loan from the African Development Fund of approximately STP31 billion (US$1.5 million) and implemented by the Ministry of Public Works, Infrastructure, Natural Resources and Environment. The objective of the project is to contribute to sustainable poverty reduction through coordinated land development which takes into account improved population and activity distribution as well as considering the constraints and potential of the natural environment, socioeconomic specificities of localities and environmental preservation. More specifically the study is intended to provide the administration and local authorities of Sao Tome and Principe with a planning framework that prioritises a coherent, integrated and inclusive approach to national land use. The expected date of completion is December 2018, however the formalisation of the recommendations therein into an adopted legal framework has no projected timeframe. IDA & IMF (2013). Democratic Republic of São Tomé and Príncipe Joint IDA-IMF Staff Advisory Note on the Second Poverty Reduction Strategy. Paper Report No. 72388-ST. http://documents.worldbank.org/curated/en/935171468304470846/pdf/723880PRSP0P130900IDA0SecM201300169.pdf (Accessed 24 September 2018). Pg. 1. Graca, R. (2013). Sao Tome Government redistributes land to combat poverty. Deutsche Welle (DW). http://www.dw.com/pt-002/governo-s%C3%A3o-tomense-redistribui-terras-para-combater-pobreza/a-16966265 (Accessed 24 July 2018). Government of Sao Tome and Principe (2015). Agenda de Transformação-no horizonte 2030, Conferência Internacional dos Investidores e Parceiros de desenvolvimento (Transformation Agenda-Vision 2030. Conference for international investors and partners for development). African Development Fund (2015). Study on the National Land Use Plan-Appraisal Report. https://www.afdb.org/fileadmin/uploads/afdb/Documents/Project-and-Operations/SAO_PRINCIPE_AND_PRINCIPE_AR-_Study_on_the_National_Land_Use_Plan__APPROVED.pdf (Accessed 8 September 2018) Pg.ii. African Development Bank Group (2018). Sao Tome and Principe – National Land Use Plan Study Project. http://projectsportal.afdb.org/dataportal/VProject/show/P-ST-K00-011 (Accessed 8 September 2018). African Development Bank Group (2018). The STP Vision 2030 recognises the pitfalls of the current structure in place and seeks to redress issues of poverty, structural inadequacy, economic vulnerability and administrative incapacity. The goals laid out in the plan are being driven largely by state funding, foreign aid and investment. The successful development of port infrastructure driven by Chinese enterprise would constitute a significant step toward improving and opening the geographical and economical gateways into STP and would open STP to foreign business and funding as per the plans specified in the 2015 Step in London Conference in which potential developments were flagged within various sectors of the economy. These include ecotourism, port development, business parks, energy sector growth, and many other potential projects and reforms. In looking forward, the completion of the PNAT Study is critical in determining the direction of development for STP. The impact and effectiveness of this exercise depends upon the adoption of an effective and comprehensive land use policy, in conjunction with an implementation agent or mechanism that ensures oversight and governance of the policy. Housing, and particularly affordable housing, do not appear to be a primary deliverable for the government and investors in STP, however given the objectives of the PNAT, affordable housing is expected to form part of any inclusive or holistic poverty reduction strategy. Step In London (2015). Sao Tome e Principe International Conference. http://www.saotomeislands.com/docs/STeP-IN-LONDON-Book-International-Conference-2015.pdf (Accessed 24 September 2017). Assembleia Nationale de Sao Tome e Principe (2017). http://www.parlamento.st/ (Accessed 24 September 2017). World Bank Doing Business (2018). Sao Tome and Principe. http://www.doingbusiness.org/data/exploreeconomies/s%C3%A3o-tom%C3%A9-and-principe (Accessed 25 July 2018).